We all pay the price when our leaders never recharge. The science about the cognitive benefits of resting and recharging is beyond clear. We know that we’re calmer, less stressed, and that we make better decisions when we’re not running on empty. So why are we so obsessed with the idea that our politicians work around the clock and never take breaks? 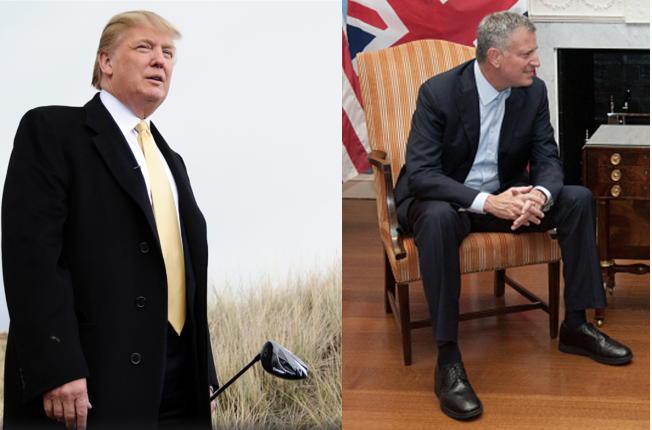 The latest is a breathless front page New York Post expose revealing that New York City Mayor Bill de Blasio actually – gasp – naps. “De Blasio naps on his office couch after workouts” reads the headline. Not only does the Mayor apparently nap, but, even worse, as the piece notes, he doesn’t even “attempt to hide his hibernation habit.” Another anonymous source adds that De Blasio “feels entitled to take a nap.” What nerve – thinking that he’s got an actual right to take care of himself so that he’s at his best for his constituents. But beyond the hypocrisy (and, yes, I realize that discussing Trump outside of hypocrisy is a bit like string theory – it’s useful for theoretical purposes but hard to pin down in the real world) – why shouldn’t we want Trump to take time off — we’ve seen what he does, says and tweets when he’s sleep deprived. And it’s not as if we haven’t internalized the value of rest for other occupations. When you’re being wheeled in for surgery, the last thing you want to hear, just as the anesthesia is taking effect, is how your surgeon has been working 20 hours a day for the past week. And nobody would want to fly an airline that forbade their pilots to nap or take vacations. So we know the value of resting for certain professions – it’s just that for some reason we want to deny it to our politicians. But it’s not as if their job is low stakes. It’s all about judgment and decision making – and we all pay the price when those go wrong. A 2015 study by researchers from Washington State University aimed to create an experiment to see “how sleep loss affects critical aspects of decision making in high-stakes, real-world situations.” The result, not unpredictably: “Sleep loss impedes decision making in crisis.” Or, as Hans Van Dongen, director of the WSU Sleep and Performance Research Center at WSU Spokane, put it, “Our findings tell us that putting sleep-deprived people in perilous environments is an inherently risky business and raises a number of medical, legal and financial implications.” Or, in the case of the leader of the free world or the mayor of New York City, all three. So let sleeping dogs, and politicians, lie (no pun intended). And as many of us prepare to take some time off for ourselves this month, let’s resolve to come back and stop rest shaming our politicians.